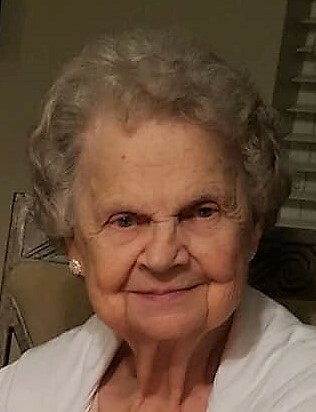 ORWELL - Phyllis Katherine Barnes, age 85, died at University Hospitals Geauga Medical Center on November 22nd, 2018 with her family by her side. She was born on January 27, 1933 in Cleveland Ohio, the daughter of Joseph Edward and Frances Margaret (Szczotka) Janosky. Phyllis was married to Verlin Barnes on November 21, 1955 and has been a resident of Orwell for the past 30 years. Formerly of Mentor, Ohio. Phyllis enjoyed being surrounded by her family, especially during the holidays preparing large meals and baking many different delicacies to be enjoyed by all who stopped by to visit. She always found the time to listen. No matter what your worries might be, you could find comfort in the words of wisdom that she passed on. Phyllis loved to crochet blankets for her grandchildren and great grandchildren, knitting, growing house plants, attending local auction houses, and church rummage sales. She was a small business owner with her husband, had a ceramic studio where she also taught classes, raised chickens and she was best at being a Mom. Phyllis is survived by her children, Robert J. Barnes of Orwell, Patrick M. Barnes of Ashtabula, Kathleen M. (Patrick ) Hiers of Shreveport, LA., Charlotte A. (James) Colwill of Willoughby, Barbara J. (Ronald) Hritz of Willoughby, Darlene G. Szalay of Rock Creek, and William J. (Heidi) Barnes of Conneaut; and brother James Janosky of Wickliffe. She had 14 grandchildren, 16 great-grandchildren, and several nieces and nephews. She was preceded in death by her father and mother; husband Verlin Barnes, son Thomas Allen Barnes, brothers Lawrence Janosky, Richard Janosky, Ronald Janosky, sisters Cecelia (Sis) Cook, Dorothy (Penny) Pappas, Frances (Patsy) Kordic, and Constance Janosky.